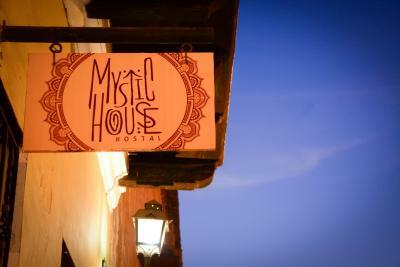 Lock in a great price for Mystic House Hostal – rated 8.3 by recent guests! The room was spacious, with air conditioning and three bathrooms inside. The staff is super fun and helpful! I only stayed for a few hours but I enjoyed my time there. I did the check in at 12am and left at 9am and everything was very relaxed. The yogurt and granola breakfast was super tasty and the portion was enough. The facilities were nice, clean and very colorful. Also, the kitchen looked organized and spacious. The room was clean and the AC worked well. Breakfast was simple but good. 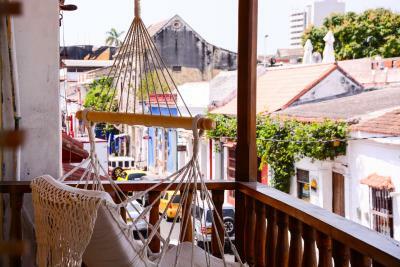 The communal porch overlooking the street is a great place to hang out. Centrally located. Great Breakfast, price, AC in room!!!! 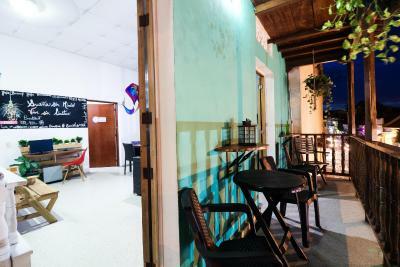 Nice staff, nice common space and balcony to hang out at!! Clean and comfortable, room was quiet. Private bathroom was clean. Staff was friendly and helpful. Airport transport was easy to arrange and almost identical in cost to a city taxi. 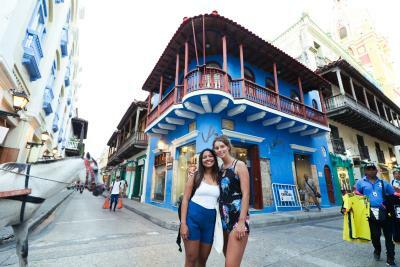 Easily walkable to popular sites in Cartagena. Booking.com advertised the location of having a shuttle. I arrived at 2:00pm. They said the shuttle was not available at that time. I never saw an operating shuttle while I was there. air conditioning in room. 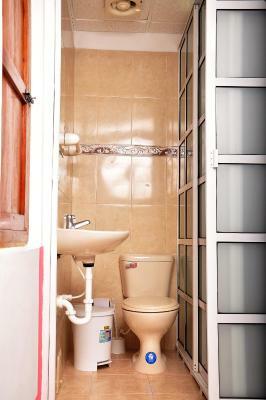 Private bathroom in 4 bed dormitory. I liked they balcony and the fact that they have beer for sale was very convenient. The location is great and the staff are really friendly. The breakfast is good and convenient. All in all a good stay! 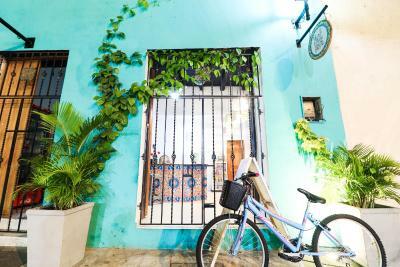 Highly recommend exploring the Getsemani neighborhood. 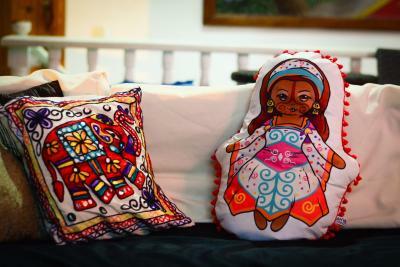 One of our best sellers in Cartagena de Indias! 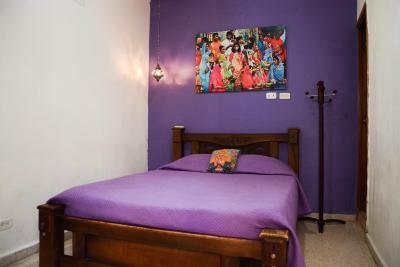 Mystic House Hostal is located 3 minutes’ walk from the Centenario Park and 0.9 mi from Cartagena de Indias Historic Center. Free WiFi access is available in all areas. 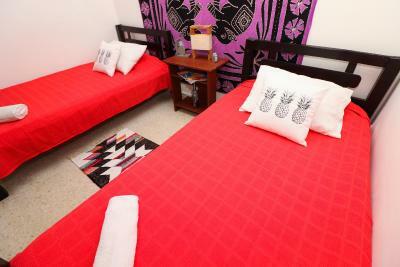 Each room here will provide you with bed linens. They can be fitted with air conditioning or fans. 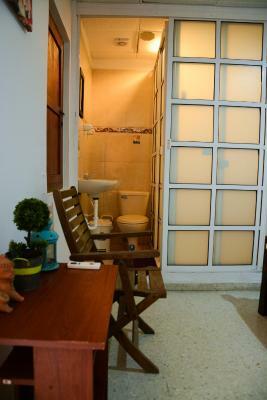 The bathrooms are either private or shared and come with a shower. 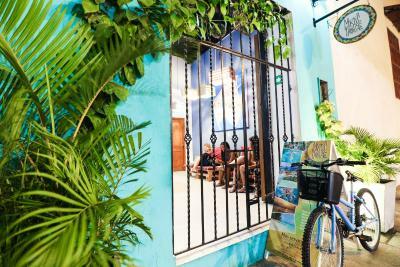 At Mystic House Hostal you will find a 24-hour front desk and a terrace. Other facilities offered at the property include a shared lounge and a tour desk. 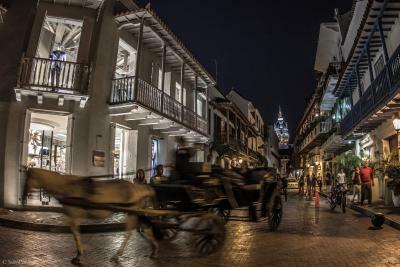 This property is 1,800 feet from Cartagena’s Convention Center and 10 minutes’ drive from Cartagena’s Walled area. Rafael Núñez International Airport is 15 minutes’ drive away. 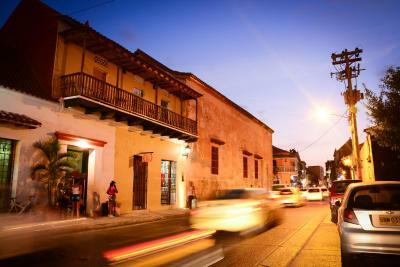 Getsemani is a great choice for travelers interested in culture, architecture and city walks. 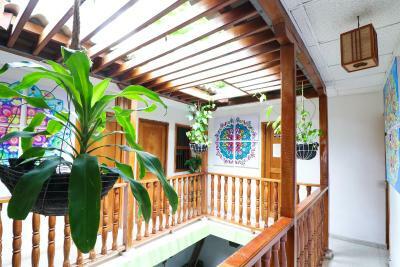 뀐 Located in the top-rated area in Cartagena de Indias, this property has an excellent location score of 8.9! 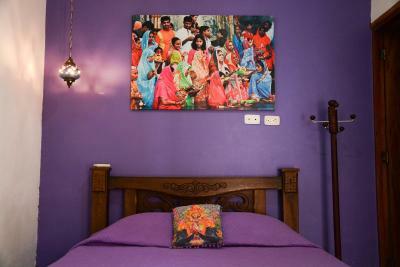 When would you like to stay at Mystic House Hostal? 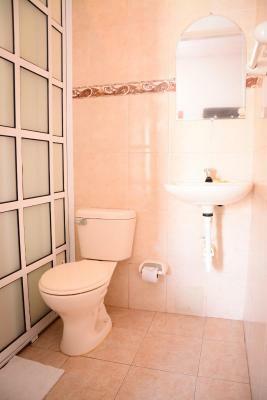 This room features air conditioning and an en suite private bathroom with a shower. 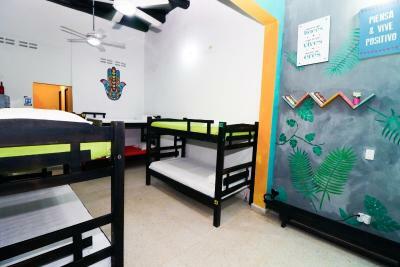 This bed in dormitory features air conditioning and private bathroom. 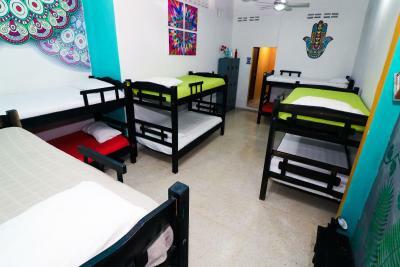 This bed in dormitory features 3 shared bathrooms and air conditioning. 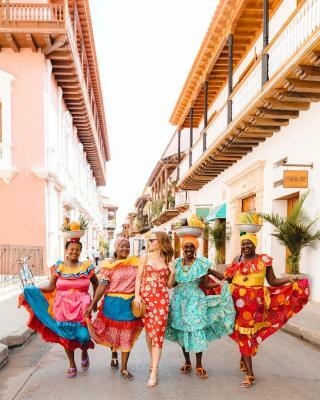 Area Info – This neighborhood is a great choice for travelers interested in culture, architecture and city walks – Check location Great location - show map Guests loved walking around the neighborhood! 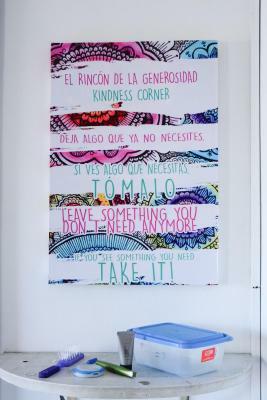 House Rules Mystic House Hostal takes special requests – add in the next step! Mystic House Hostal accepts these cards and reserves the right to temporarily hold an amount prior to arrival. 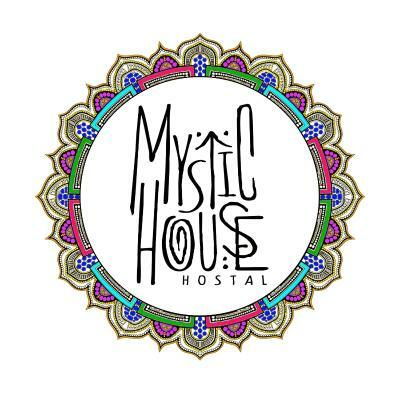 Please inform Mystic House Hostal of your expected arrival time in advance. You can use the Special Requests box when booking, or contact the property directly using the contact details in your confirmation. Lockers a little small. Could do with more sockets by beds particular on top bunks. Breakfast a bit disappointing in terms of size and variety of food. Wifi inside the room worked very weak and unstable. There was only 2 sockets for a room for 4 people. And they were on the opposite wall from the beds. One of the top beds are just below the condition unit - noisy and cold. The breakfast was great. The desing of the place is chill. 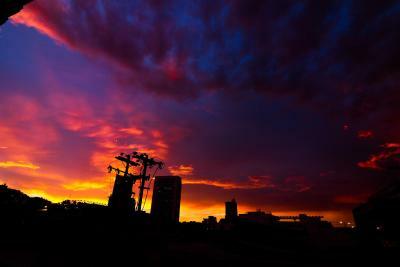 It is nice to sit on the balcony, even though it is not the greatest view. The staff is helpful and polite, most of them knew english. 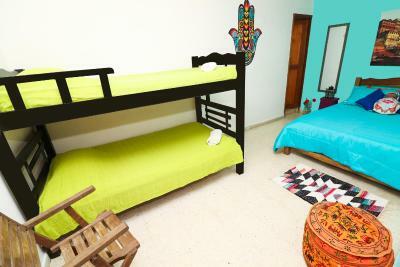 The location is good - it is hard to miss, near busstop, shops, restaurant and bike rental. You need your own lock, you can rent one for 5000cop, but there weren't any to rent so I had to go and but one. Dormitory had only one room key and two guest left with it and after breakfast I couldn't entry my room for owner an hour. Neither reception nor housekeeping had extra key which shouldn't happen!!! Staff is super nice and helpful! The room, bathroom and common area very clean. Breakfast was delicious! The big dorm room next to the reception smelled a lot like humidity, way too much!!! Also, it didn't have any windows, so you wouldn't know if it's 7am or 7pm. It was clean and with a nice location. The cooking/cleaning woman was absolutely adorable. Could do with chargers sockets closer to beds especially on top bunk. Restrictions on balcony times at night would be better to have open than go on street at night. Breakfast was a little small portion and basic. Fantastic speed of WiFi! Best I've had in Colombia. Great staff, brilliant location. 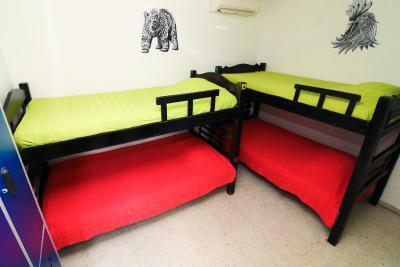 Comfortable dorm sizes and locker. Aircon! 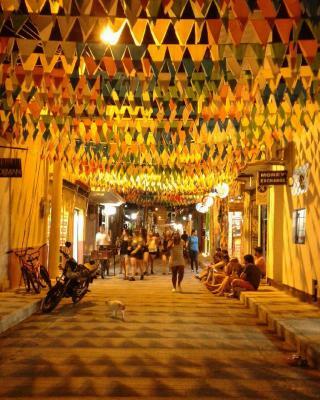 The location is very good with lots of bars and restaurants around. Our room and bathroom could be a bit cleaner. The location is good, the furniture looks good and the breakfast is nice. The bathroom in the 4-person room I stayed at needs to be updated especially the shower knob. It was difficult to turn on/off. Also had some bugs flying around in the room so that also needs attention. Walking distance to restaurants and sights. Breakfast was okay. Staff was helpful in getting me a taxi late at night cause I had an early flight in the morning. The place is cool and it was nice to have breakfast out in the patio. I have never left a bad review before, but feel compelled to in this case for future travellers. The only good thing I can say here is that the location is great. The room was dark, cramped, and the bunk beds were extremely creaky. The shower was a jet of cold water. 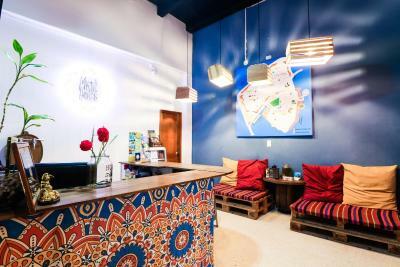 Nevertheless, as a family who’ve travelled a lot and are used to hostels, this we could have dealt with, had the staff been more pleasant. Some were polite but unfortunately, the manager was rude and unhelpful, and she responded to our queries in a very condescending tone. All in all, I really wouldn’t recommend this hostel. Breakfast was pretty terrible, absolutely not like the pictures. The service was even more horrible. 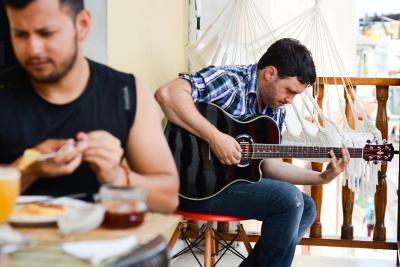 We booked 2 tours with the hostel because they recommended these 2, promising the guide would speak English. In both tours, our guide did not speak a word of English, so we spent 2 days for which we paid a lot of money (much more than any other tour we have taken and much more than the same ones offered down the street) not understanding anything, no explanations, it was such a disappointment. When we addressed this at the hostel they started explaining that they have taken the tour once and at that particular time there was an English speaking guide, apparently this one time is not representative for future reference. They said they would find a solution, however absolutely nothing was offered, the checkout was with a different guy than the one we complained to who didn’t speak any English either so we could not discuss this with him. Also, when we wanted to check out there was nobody there, we had to knock, ring the doorbell, yell for someone and waited for 15minutes until finally the receptionist woke up, so much for a ‘24-hour reception’. In short, I would NOT recommend staying at this hostel. The room was fine, the location was perfect.